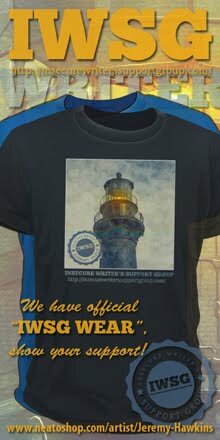 At the IWSG Site today is the awesome Jennifer Hillier! Thanks to everyone who participated in the Underrated Treasures Blogfest! All links go directly to the posts, so keep looking for more unknown treasures. Sherry Ellis is hosting the Bucket List Blog Hop on October 20 – see her site for details. And putting final touches on my next manuscript before sending to my publisher. Do you do anything in addition to writing? I’m the founder of the Insecure Writer’s Support Group, and a A to Z Challenge co-host. Tell us a little about yourself. I’m married, a Christian, a guitar player, movie lover, Ninja Captain, and all around geek. Mobster movies! Name the film from the actors listed. Excited about the movies featured in the posters? Discover some cool new things during the Underrated Treasures Blogfest? Participating in Follow Fest? And do you know any of the trivia…? That blogfest exposed me to so many movies and songs I wasn't familiar with. The movie posters are great! Thanks for sharing a little about you in your answers to the blogfest. Really excited about the new Hobbit movie. I just watched the last one when it came on HBO. I might have to go see the new one at the theater. And loved learning what authors influence you and what you're reading now. No 5 is the one where a woman wears a yellow jumpsuit and lots of people have their arms cut off, I think? Also the blogfest which was a great success. Cool movie posters!!! Alex, congrats on all your awards for your books.Yikes, I forgot about Terry Brooks, I love his books and have read many!!! Trivia: #5 Pulp Fiction. #6 Godfather #3 Goodfellas? ALL of those posters are uber cool looking!! I haven't even heard of Interstellar which is odd. I usually know this kind of stuff so thanks for sharing!! 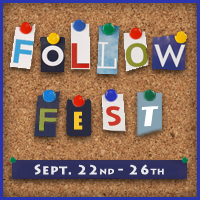 Lots of interesting info for the Follow Fest! Kyra, it's a fun series. Natalie, go see it this December! I totally HEART that Guardians' image!!!! So snagging that one. I wonder how Interstellar will be??? And I had no idea they were making another Museum movie. Sweet! Alex, I didn't realize your books had won so many awards. So much for you to be proud of in your life. And altho' I didn't participated in your blogfest, I visited many of the folks who did and it was wonderful to read about all the underrated songs and books and movies I've never heard of. LOVE the Hobbit. I wanted to see the Guardians but didn't get to. Great movie posters. Sad to think this will be the last time Robin Williams plays Teddy Roosevelt. Congrats to all those with new books and enjoyed your information from the Follow Fest. As for the mobster movies (which I first read as monster movies, LOL) I see a trend with Robert De Niro. :) I noticed Preston and Child influenced you. I'm just finishing their latest, THE LOST ISLAND, I can see where they would be an influence. Love that Interstellar poster! Watched Gotham the other night - really enjoyed it. "All around geek" made me laugh. I particularly love that top poster. They are all good, but that one would stop me to look into it more. And can I just say your crocheted ninja and dragon are AWESOME! I love the movie posters. Impressive list of awards for your books. As for the movies, I am sure I know most of them, but can't think of any right now. Great 3 and all bestsellers, fantastic credentials Alex. And another along the way. Keep the good flag flying! Wonderful Interstellar in Imax must be spectacular! Great movie trivia! I recognized 5 and I'm not totally sure about 2 (I remember the movies, but I can't name of them). I loved Abercrombie's The First Law trilogy. Dani, Interstellar is going to be awesome. Sheri, I knew everyone would think that image was cute. Mason, I wish I could write as well as they do. Hart, Al did a great job. The posters look amazing! Intersellar's preview, though...eh. It tells you virtually NOTHING about the movie. As usual your blog is filled with fascinating info and fun! I'm also on the Follow Fest and enjoying meeting new folks and old ones like you. Er, old friends, not that you're old..Uh okay, time to say have a great day! Ooh, I loved that series by Joe Abercrombie, just loved it. I think Intersteller is going to be EPIC!!! I do love those posters! Every one of them is richly textured, evocative, provocative and intriguing. Definitely an effective use of graphic design skills, by compelling you to want to see the actual film. I had fun participating in the Underrated Treasures Blogfest. It was fun learning about movies, books, bands/artists, and tv shows I wasn't aware of. CONGRATS to everyone with new book releases or that are currently on book tours. Thanks so much for taking the time to mention about the Bucket List Blog Hop that Sherry Ellis and I are co-hosting. FOLLOW FEST - CONGRATS on the awards your books have received. Best wishes with wrapping up your next manuscript. Interstellar certainly looks very cool. That hobbit poster looks awesome, funny one with Rocket and Groot too. During the blog fest I discovered that Netflix has become kind of useless. I love that Galaxy poster. That was such a good movie. I can't wait until my son get's older and I can watch it with him. I wish I knew one of those trivia questions. I'm looking forward to the last Hobbit movie. I jotted down two songs I want on my iPod and five books to read during the Underrated fest. I read 'Before They Were Hanged.' It's a very violent series and introduced me to Joe Abercrombie. I love that pic of Rocket and Groot! Yay for follow fest and all those awesome books releasing--and thanks for the heads up on Sherry's hop. (Love Sherry.) Time to head over and check it out. Those posters are so cool! 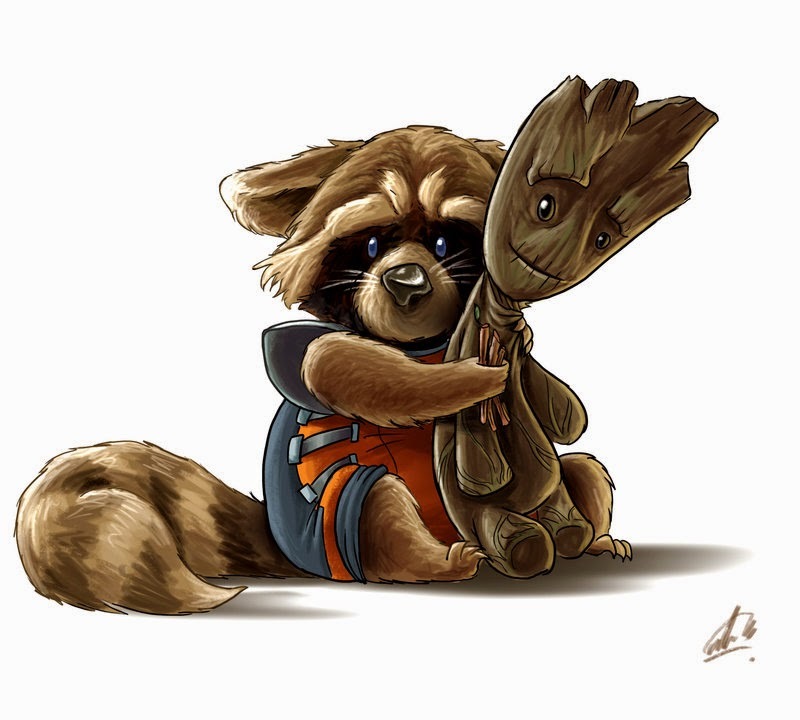 What an adorable image of Groot and Rocket! I'm pretty sure #5 is Pulp Fiction. I've never seen it (too violent for me), but I know those actors were in it. You're sooooo not a geek, Alex! LOL! Those posters look fabulous. My kids LOVE the first Night at the Museum movie! Cool posters! And I love the image of Rocket and Groot. Marcy, it's awesome. And yes, you got a perfect score today. Susanne, sorry I missed that you were co-hosting! My bad. Pat, you got them all! Dianne, some things just haven't made it to NetFlix. Jeremy, we might see Denzel's film on Friday. Morgan, I am a geek. Just not a nerd. I love the looks of the movie posters. I'm sure I'll see them all. Hi Alex! Hopping over from the Follow Fest! Posters look awesome! Ugh, that Hobbit poster is spectacular and exciting and gorgeous. I say 'ugh', because it's making me really excited to see the movie even when I KNOW the movie will be over-packed with action and under-packed with reasonable character and plot. Which would all be fine if it wasn't The Hobbit. ANYWAY. I wish I could participate in Follow fest this year, but the timing isn't right, so I'll just enjoy everyone else's posts! I like the look of Intersteller, but I'll have to forget Night at the Museum III!! Thanks so much for posting my book, Alex! I already wanted to see the other two but last night movie previews when I went to see The Maze Runner got me turned to the latest Night at The Museum movie. As long as finances permit I'll go see all three. Cute pic with Rocket and Groot. Underrated Treasure Blogfest was very nice. Okay, that Rocket and Groot picture is TOO CUTE! I'm so excited for Interstellar. It's going to be awesome. I stopped by because of FollowFest, but it looks like I'll have to come back more often. You have so many cool things going on--and great books. I want to see ALL those movies! Congrats to Gwen, Beverly, and GB! Preston & Child!!! I spent this summer reading the entire Pendergast series. I'm loosely basing my next book on their books, which are AWESOME!! I didn't even know about a new Museum movie. Cool! I am constantly amazed at how much you get done. You obviously have time management down to a T.
I'm pretty sure 6 is the Godfather. Some of the others sound familiar, but I don't always remember all the actors in a film. Sheena-kay, the Night at the Museum series surprised me - I really enjoyed them. Hey, Pat! You might have some really cool posters there. Lexa, awesome! He's such a cool character. 1-Heat 2. ??3. Goodfellas 4. usual Suspects 5. Pulp Fiction 6. The Godfather 7. The Untouchables. Almost all. Geeks rule the world!! Love the posters and love the Escher style of Night At The Museum 3. Can't wait for LOTR...Can't wait:) This blogfest was so much fun and I must find Brisco County and watch them again. I love that picture of Rocket and Groot. Night at the Museum: Secret Tomb is clearly inspired by Relativity, by dutch graphic artist M.C. Escher. I'd like to see all three of those movies, in this order: The Hobbit, Interstellar and Museum. I'll wait for your reviews first, Alex! I'm still making my way to the other posts on the Underrated Treasures. So much to learn by reading these posts, it was a great idea for a bloghop. Well, the movies may not be getting better but the art is nice! Lots of great posts for the blog hop! I still need to keep going through the list! Thanks for all the new info! I love The Hobbit poster! I love that term for what you write. "Space opera." It seems fascinating! Was Robin Williams in the Night at the Museum sequel that's coming out? Or is it still being made? What?!?! Night of the Museum had another movie coming out?! I hope it's good, the poster looks really cool. Alex, thanks for the shout out, it's greatly appreciated! I've seen a few of those mobster movies. 2} Reservoir Dogs (funny, I just read about that movie while reading the ultimate book about #6). Can't wait for Night at the Museum . . . but also a little sad about it. The Night at the Museum poster is great! One of those eye trick deals with the staircases. I actually know a few of the trivia, but just a few. 3) Goodfellas, 4) The Usual Suspects, 5) Pulp Fiction, 6) The Godfather (1? 2? ), 7) The Untouchables. I love the posters, and the Guardian treat. So cute. I do enjoy Joe Abercrombie's characters. I was going to do follow fest, but then was on the fence about it, then forgot. ^^;; It's been a rough day, so totally not my fault! 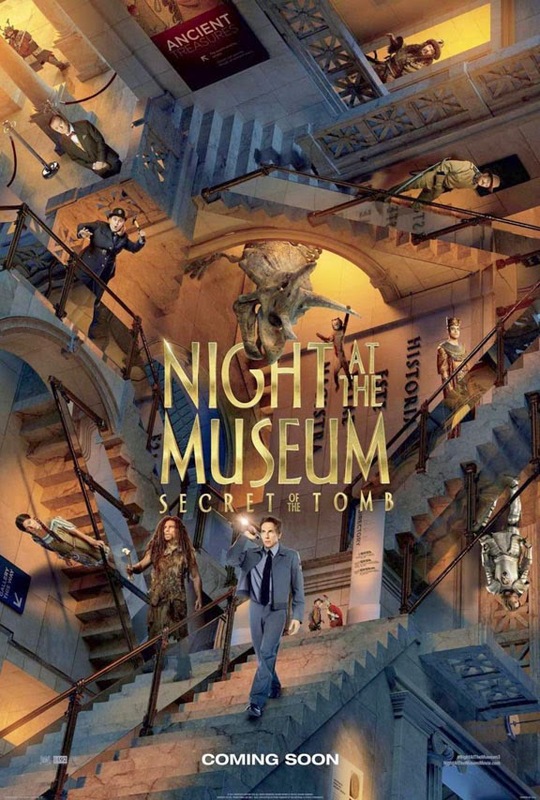 I especially love the Night at the Museum poster and could get lost in it for a while - especially because I don't know any of the trivia. This is all stuff I already know about you. You mentioned you were going to write more blogs that include you. This blew. I want the good stuff. Bring it on. Only one I'm looking forward to is the last Hobbit movie. ^_^ I don't see a whole lot of movies, but those have been great so far, and wholly worth seeing in 3D. And I completely forgot about the Underrated Treasures blogfest. >_< I had a bunch of stuff I wanted to ramble on about that I think people should read. Grr. Arg. Birgit, very good! Got almost all of them. DG, and I will give you reviews. Stephanie, I hope it's at least interesting. And yes, Williams is in the movie. Maurice, I'm sure he will. GB, you're welcome! And you got five of them. Lynda, and he's so good at them!! Robyn, hope this weekend is a big success! Ivy, I'll work on some gory details. Sorry, had to answer the questions. Mason, sorry you missed it! That Guardians image was too cute. I'm really looking forward to the 3rd Hobbit movie! Man, I hope Interstellar is awesome! And that all these commercials about daddy/daughter space angst are just a tease, and the movie is about much more. Those movie posters are gorgeous! I can't wait to see the movies. PS: Grout was cute. Have a spooky say, Alex. 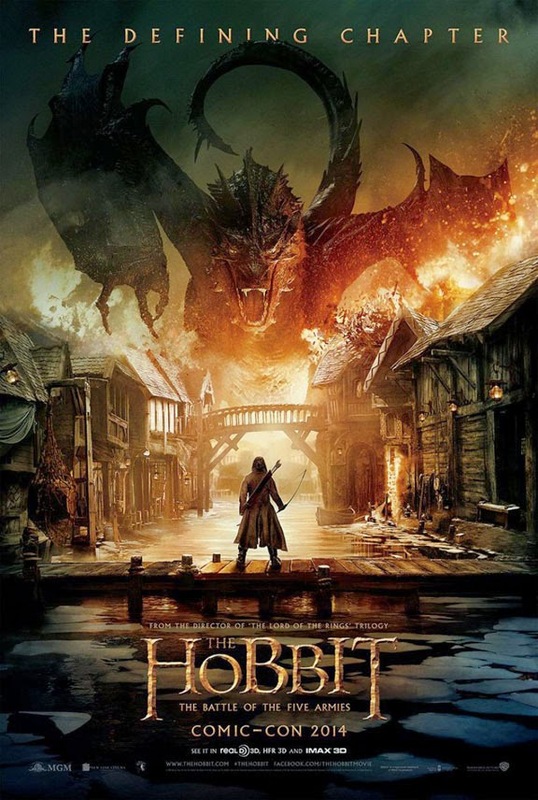 I have to say The Hobbit's poster looks awesome. Still not watching the movies, though. Some of the other choices look familiar, but I'm drawing a blank. They're all great casts! I love all of the movie posters! When I was in high school I worked at a movie theater. I remember taking home some classic posters that included the Laurence Olivier version of Clash of The Titans. I wish I had held onto a few of those. Thanks for stopping by my blog! I totally agree with your comment. Also, just love the Night at the Museum poster. Escher is one of my favorite artists. John, I hope it's about a lot more! Julie, correct. And wow, too bad you don't have that poster anymore. Those posters are fantastic. I'd like to see all three movies. When I got to the trivia, I miss-read the first line and thought it said MONSTER movies. Spent several minutes trying to remember any monster movies that had those stars in them. Naturally, I drew a blank. I agree, the movie posters are impressive. I'm still sucking at your trivia questions. Exploring more underrated treasure blogs today...all day fly fishing trip yesterday kept me away...and was much needed! I just saw 'The Desolation of Smaug.' Like the first chapter, it took me a while to get around to seeing it. It was awesome, but talk about an OBVIOUS need for a sequel. I know many movies look ripe for sequels ('The Empire Strikes Back,' the FIRST Hobbit, etc. ), but the 'DOS' may as well have had "To Be Continued" on it. That being said, I really liked it. THAT being said, the ending of MY book, "It's Not Just a Job" may as well have a "To Be Continued" line in it, too. So, I guess that makes me a bit of a hypocrite...? I love Ray Bradbury! A great master! I can't wait for the new Hobbit movie! Looking forward to watching The Maze Runner, too. I can't wait for the Hobbit. I hope it is going to be good. I have an incredibly strong aversion to Interstellar. I'm not going to watch it. Even the trailers give me an incredibly awful feeling. This surprises most people who know what I write. But the Hobbit poster is gorgeous. Alex, thanks for stopping by my blog and leaving the kind words. Those are cool movie posters. I didn't know about the follow fest until today. Maybe I can squeeze an entry in tomorrow. Thanks for advertising the Bucket List blog hop. 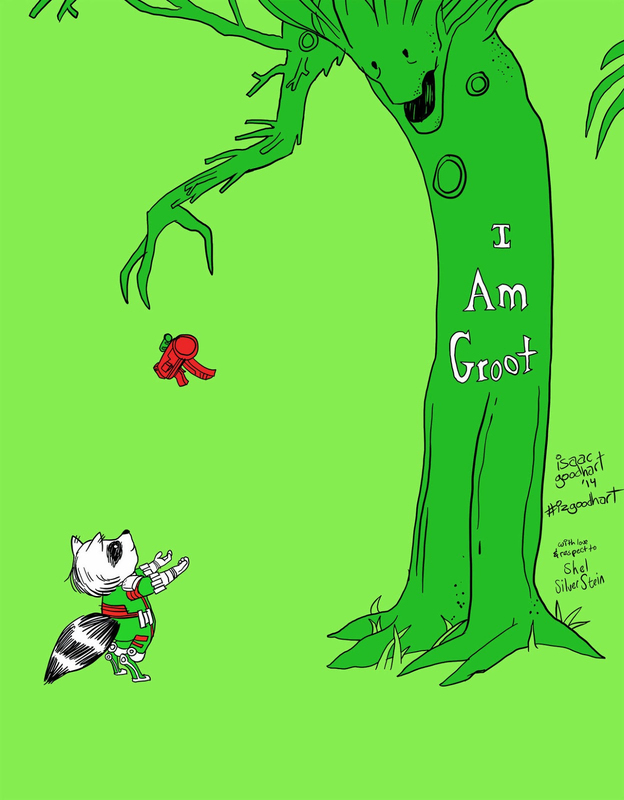 I recently saw this picture of Groot and thought it was adorable. 5. is, um, geez what was the name of that movie? Reservoir Dogs? Pulp Fiction. Anyway, my interest is piqued by Interstellar. Great posters! I'm excited for The Night at the Museum movie but I'm not sure about Interstellar (I'm wavering on the drama aspect since I really don't like bawling in public places). Excited for the new books and have one already. And trivia . . . my brain has been dead all week, so it's a no go for me. Sigh. I know I know #5 but the title is stuck back behind my teeth somewhere. Know all the actors, love some of them, and I am brainless to recall the movie titles. Oh, well. Al, just a little. But hey! Yeah, both Hobbit movies were awesome. AB, you don't think Nolan is awesome? Ken, sorry about your furry family member. Ella!!! Good to hear from you. Miss you. Tyrean, did ET do you in? Hi Alex. The Underrated blogfest was excellent. I must investigate Sherry Ellis' bloghop. I know none of the trivia. Thank you for including my book in the new books. The follow fest sounds like fun. There's another Night At The Museum movie coming out? I need to see it! :) And Interstellar looks interesting to me, too :D I need to go and check out what it's about. Haven a wonderful weekend, Alex! Great posters! Interstellar sounds like something we would love to watch on the big screen! All of those movie posters rock! Love how I can take the kiddos to the Night at the Museum movies too. Congrats to all the new releases! Love the posters. The Guardian one was a real awww. I believe I'm the only Tolkien fan who has yet to see any of the Hobbit movies. I have the first two on DVD but haven't opened the cases. I'll watch them after I get the third one and I finish a certain novella. I would have to see those movies if only based on those amazing ads. I want to be an illustrator with that kind of talent. Hi Alex! I enjoyed your Follow Fest interview. Never would have guessed you were a movie lover ~ LOL! Can't wait to see the next Hobbit movie. Have a good weekend! Interstellar looks so amazing. I can't wait for it to come out. And I totally want a pet Rocket and Groot. But mainly Groot. He has the best dance moves. Follow Fest? I missed that one, but that's not too surprising the way I've been going of late. Hello from Follow Fest! Congrats on the success of your novels! Joy, thanks, and probably not. Jeff, then you will have the advantage of watching them all at once! 6 - Gotta be Godfather, yeah? Very cool posters. So excited for the Hoooobit! And three cheers for Ray Bradbury as an inspiration. He is still one of my biggest ones. Awesome Guardians image! I'm already a follower, though did check in due to Follow Fest today! 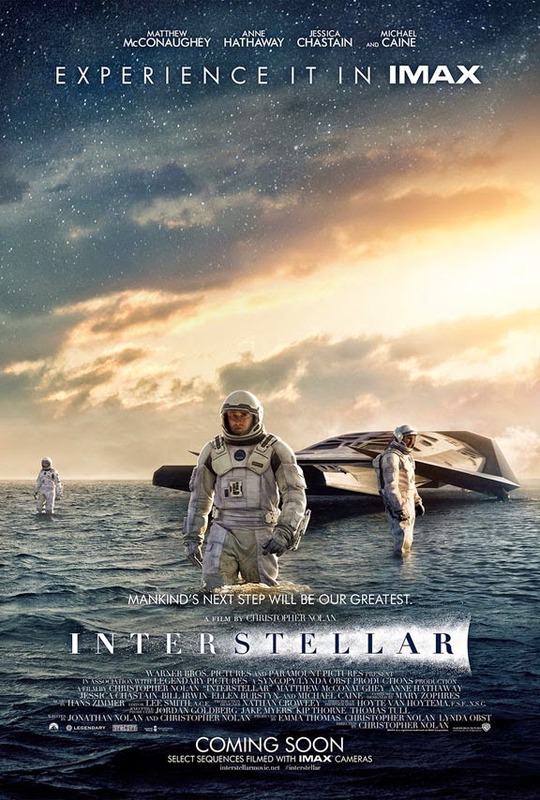 The three movie posters are super cool especially Interstellar. Thanks for the awesome Understated Treasures Blogfest. I discovered many hidden treasures. Those posters look great. Hope to see at least Interstellar. Who-woo a trivia quiz I know some of the answers to! Better late than never! All the posters look like movies I need to see. I bombed out on the trivia and couldn't make myself cheat to find the answers. AND I'm really excited that your fourth book is getting closer to being done! Good for you! I asked my hubby the mobster movie q's because he's a huge fan of them and loves stuff like this! I enjoyed the Underrated Treasures Blogfest! I learned about some really cool books, movies, and music! Looks like some great new books and the posters look awesome. Lynda, thanks and fingers crossed. Jackie, that's good to hear, and you got six right. I'm a big fan of Nolan's work, so yep, I'm looking forward to Interstellar. #5 has to be Pulp Fiction. I loved Underrated Treasures Blogfest !! Congratulations on your success! Those are excellent movie posters! Learning a lot from the Underrated Treasures-especially to pay attention to my calendared events. Ha! I actually knew the last four trivia ?, bust since I've had that confirmed in the comments I won't bother to post them. The Hobbit!!!! Ahhhhhh!!!! And what a fantastic poster! I'm all signed up for the bucket list- now I just gotta figure out what to put on it! And I know answers to some of these; Number 1 is Heat (one of my faves), 3 is Goodfellas, 4 is the Usual Suspects (another fave), 5 is Pulp Fiction, 6 is the classic Godfather (the one that started it all) and I'm not sure about 2 or 7- I'll have to come back on Monday! From one geek to another-you are awesome! Call me old fashioned but shouldn't there be a hobbit somewhere on the poster for a movie called The Hobbit? Now those are some really cool movie posters! I see there is a reboot of Left Behind with Nicholas Cage next week. I'll wait to see of the reviews from people who have seen it are any good. If so then we'll go watch it. That poster looks like Labyrinth at the Museum! Great posters, and a big awwww to the GotG image. I still haven't seen the second Hobbit movie so I really need to do that before the third film comes out. I'm trying to play catch-up because I don't want to miss any important news!